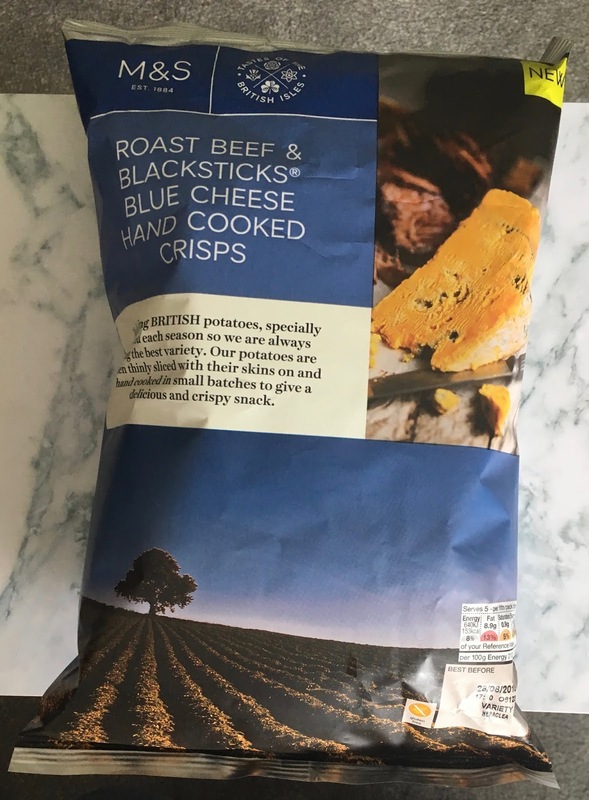 As someone who loves meaty crisps and of course cheese, you can see how the new crisps from Mark and Spencers ended up in my basket. They are flavoured with Roast Beef and Blacksticks Blue Cheese. The blue bag clearly states “New” on them, and I think they are part of the summer range that is slowly making its way onto their shelves. The weather seems to be making similar slow progress. We opened up the bag and shared them out one lunch time with sandwiches. 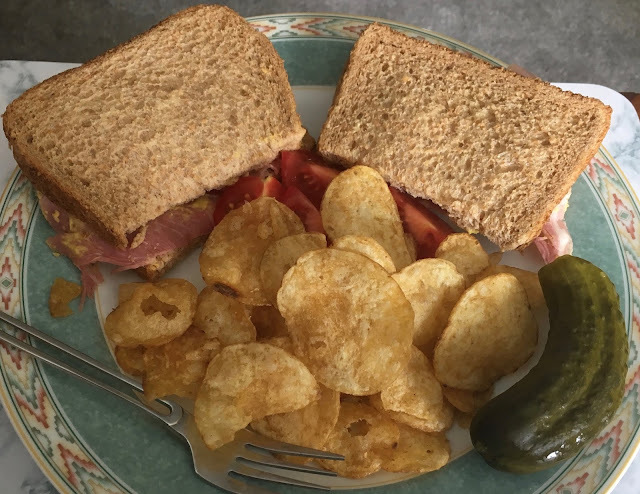 The crisps have a light meaty aroma, and are cut fairly thickly, but aren’t too chunky. I like the texture of Marks an dSpencers crisps, it always seems spot on without being too hard. The flavour was similar to the aroma, they are predominantly meaty crisps with a rich beef flavour. The blue cheese is very mild, and adds just a tang of the the spicy cheese. For me I would have liked a stronger hit of the cheese, I like the tang of blue cheese and I know it pairs well with richer flavours. The crisps though are still tasty, and the beefiness works very well. These are easy going crisps, and are perfect for sharing. If you want a proper treat combining blue cheese and beef, if the weather ever picks up again, I’d hearty suggest letting a slice of blue cheese melt on your next barbecue beef burger, and see how the flavours can gel together so well.